5GB Free space for backup or storage. Ability to use private encryption key. Can backup content from multiple devices including Windows, Mac, Linux, Android and iOS. 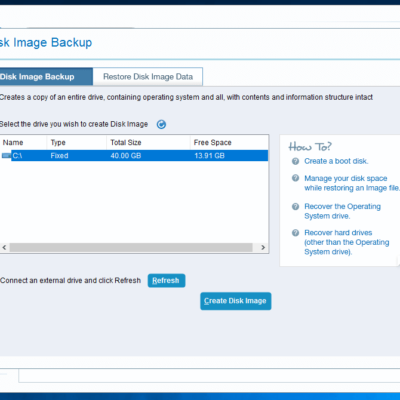 Can backup to a local disk. Overage fees if you go over your storage quota. No medium sized plan. 1TB to 10TB personal plans. 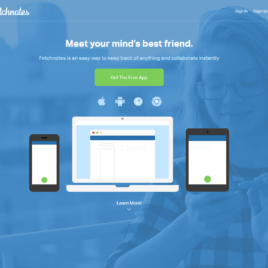 Interface is somewhat confusing and could use some improvement. With a plethora of options and features IDrive stands out from many of the other cloud backup and storage services with what you can do with the service. 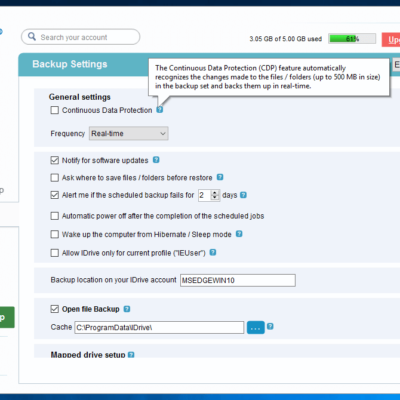 Need a cloud backup option, IDrive does that. 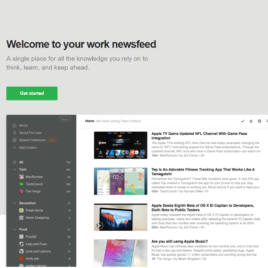 Need to share files, you can do that as well. In fact there are a lot of things that IDrive does that will make it very appealing to many people. 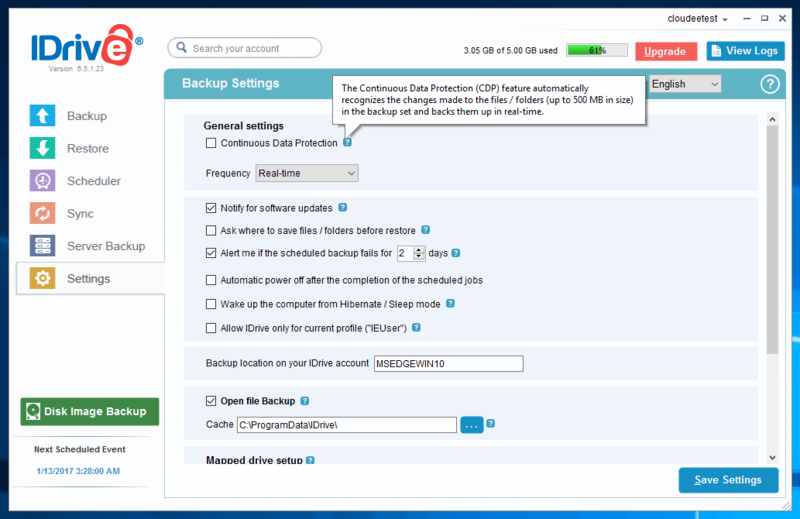 Perhaps the features that stand out to me about IDrive is the multiple backup features that are missing from many of the cloud backup services. If you have multiple PCs and Macs you can back them all up onto one account and manage them all. Add in the ability to backup files from Android and iOS and you have a fairly complete backup service for all the devices you use on a daily basis. Installing IDrive is a straight forward process for any one that routinely installs software on computers. Before installation an account on IDrive is required and that is possibly the most difficult part. Personally I hada small problem creating an account on IDrive and has to actually do the account creation process twice. Once the account was created I was able to download the software and begin the installing process in my windows 10 test machine. Once the software is installed and you sign in with the account you created you can then define the backup and perform other account functions. 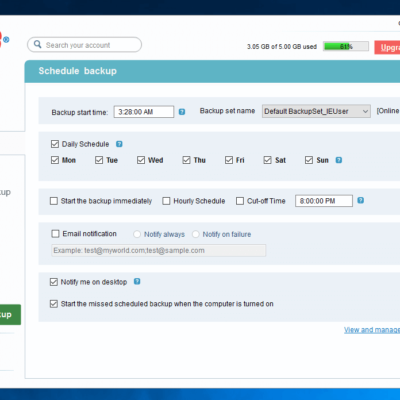 Starting the backup is as easy as clicking the “Start Backup Immediately” button. By default the IDrive application will select some of the most common folders for backup. 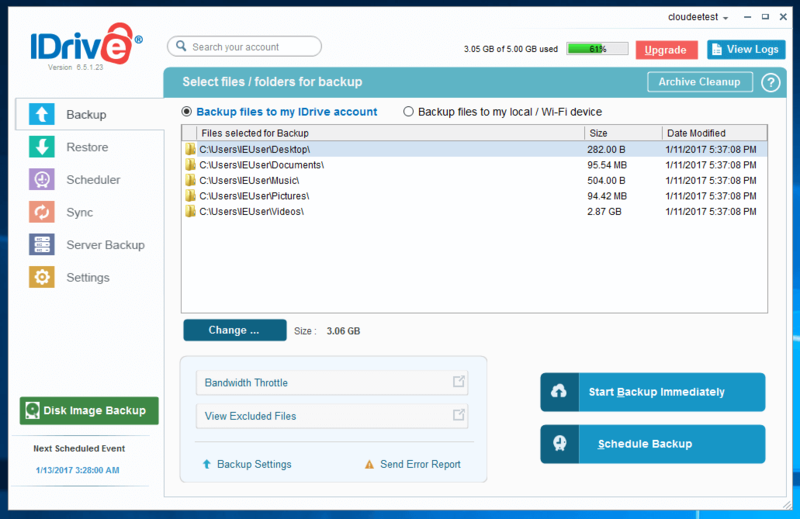 For many users that could be all they need but if you have files stored in other folders not in your home folder you should check to see what IDrive is selecting to backup to make sure all of the data you want is a part of the backup. Remember IDrive is not unlimited storage so if you have more data than your plan allows you will be charged overage fees of $0.25/GB/month. As you can see in the video I had no problems uploading the 3GB to IDrive, with it taking roughly an hour to complete. 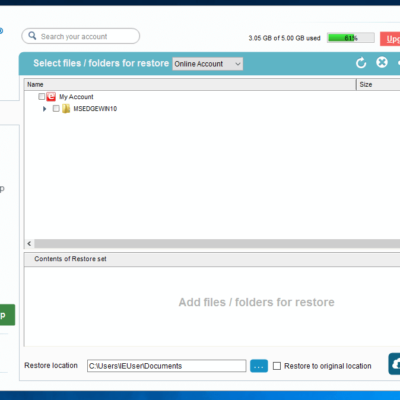 To start restoring your data you can go to the restore tab in the app on your desktop. You will see a listing of all the folders and files you have backed up with IDrive. 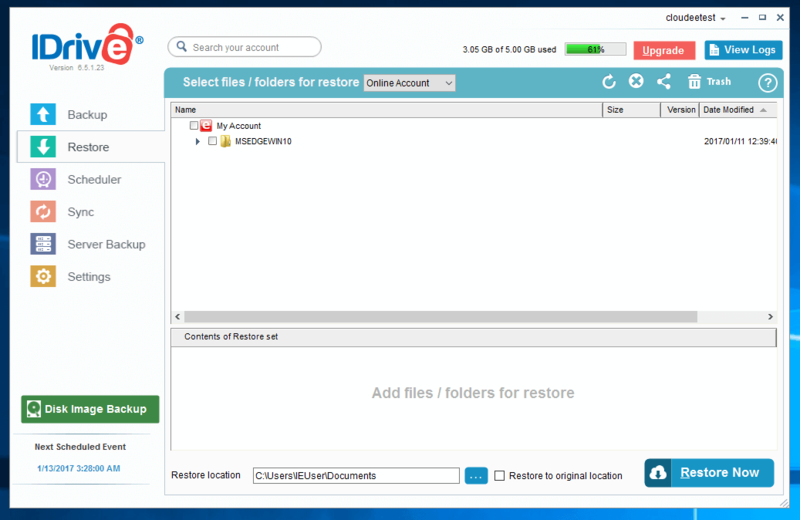 You can select what folders and files to restore and click the “Restore Now” button. You will notice if you watch the restore portion of my test video that the files were automatically restored to my documents folder. You can choose to have them restored to the original locations. For the test it did not make since I wanted to compare some of the original files and the restored files. Also in the event that the restored files are corrupted restoring to the original locations might overwrite good files with bad. Always best to be cautious when restoring, having more copies is better than none. Some screen shots of the many settings pages available in the IDrive application. For the most part the default settings in IDrive will probably be fine for most users. IDrive has a number of features, including many that I did not include in the video, like cloud sync, local backup options, scheduling options and disk image backup. 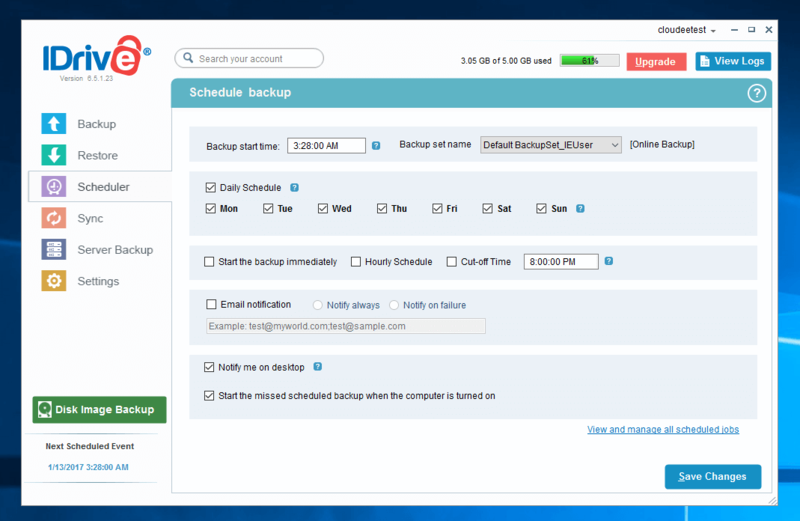 For many people they may not need or use all of those features but they are there if you want to enhance your backup. 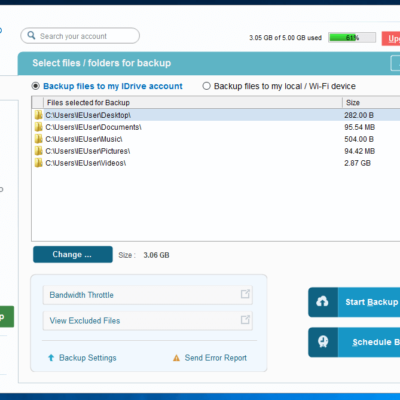 I would highly recommend people check out the local backup as well as the cloud backup options in IDrive. 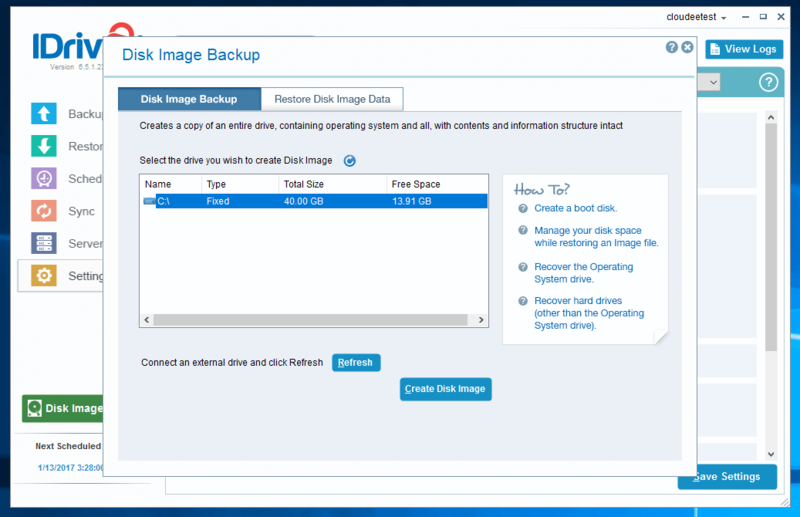 Backing up and restoring from a local hard drive will always be faster than a remote backup to the cloud. Plus always better to have more than one backup and IDrive helps people to achieve that goal to help keep your data safe. If you want to save on your first year of IDrive here is an easy way. 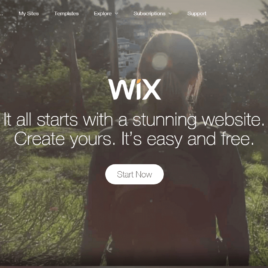 Sign up for the free 5GB account, install the software test it a little bit to see if it meets your needs. 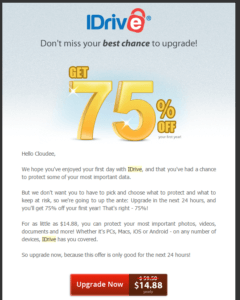 In a day or two you will most likely get an email similar to the one to the right offering up to 75% off your first year. You can then upgrade your account with a large savings and you would have gotten a head start on your initial backup. 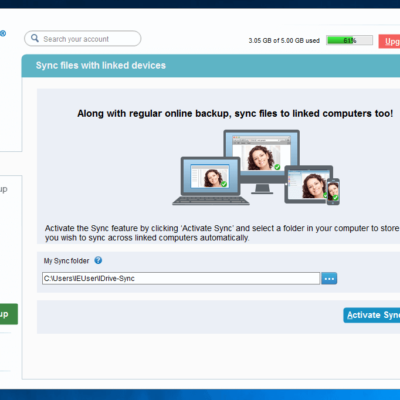 IDrive has many features that make it a very good cloud back up service, particularly for those with multiple devices. They do not charge extra for backing up more than one computer and devices on the same account. You can even backup Android, iOS and Windows phones into the same account if you want. 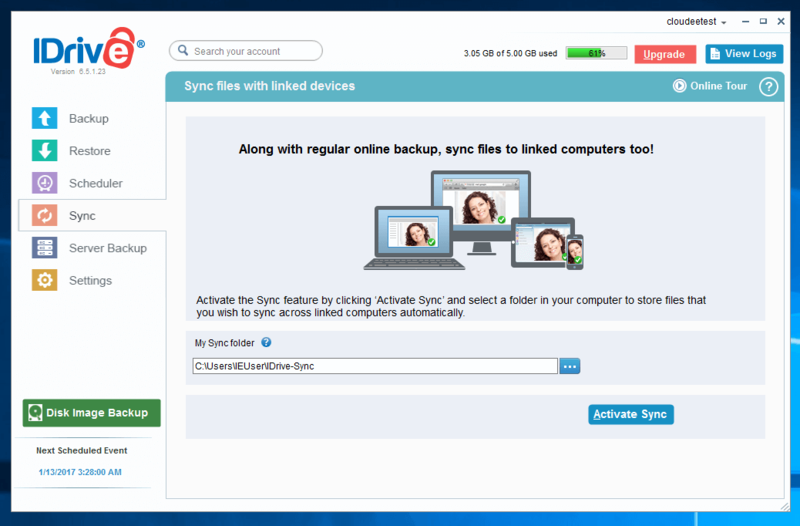 The extra features such as file sync, hybrid/local backup, image backup, social media backup and many other features makes IDrive a very good all around cloud backup and sync service. If you need all of those features IDrive offers them all instead of getting multiple accounts and services to do each individual aspect. The one downside to IDrive is the limit on storage and the lack of any storage plans between 1TB and 10TB along with the subsequent price jump. If you can keep your storage needs below 1TB then IDrive has it all, if you go over the 1TB there are other cloud backup services that might not have all the same features as IDrive but will not cost as much as the 10TB plan either. For the record, I am an IDrive partner. If you signup for IDrive through my link and you confirm you were referred by lgr_ce they will compensate me but that in no way has impacted my review. If I could give less than 1 star, I would. This service sucked! Although I didn’t have a lot of files or applications, I thought it would be a good idea to back up my computer. So, I bought their service. However, it took so long to back up the files and the back up failed so many times that I only got 12% of my computer backed up before it crashed on me. I had to engage a service and pay to extract the files off my hard drive and buy a new computer. Then, I went out and bought a hard drive and backed up my system myself. It was cheaper and faster. I bought the annual service about 2 months ago and am reading in their legal terms that they do not give partial refunds. 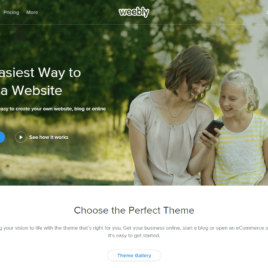 I am VERY unhappy with the product and their service. I would stay away from using iDrive.